The IRS released the 2019 pre-tax limits for Mass Transit, Parking, Medical FSA and Adoption Assistance. The limits are effective for plan years that begin on/or after January 1, 2019. IRS Rev. Proc. 2018-57 sets the 2019 pre-tax limits and other inflation adjusted limits. 2019 HSA Limits were released earlier this year and can be found here. If you have a Medical FSA and/or Adoption Assistance plan year that begins January 1, 2019 and would like to increase your tax-free limits, please contact your assigned Client Operations Specialist. NOTE: There is no requirement to increase Medical FSA and/or Adoption Assistance limits. Employers must initiate a change. By contrast, mass transit, parking and HSA limits will be updated automatically for elections intended on or after January 1, 2019. Participants may contact Participant Services at 1-800-473-9595, Monday-Friday, 8am to 8pm with any questions. Hi Suzie. Thanks for your comment. If you’re having trouble with your flex account, you can call our Participant Services team Monday through Friday, 8am to 8pm ET at (866) 996-5200 or email anytime at info@BenefitResource.com. You can also submit a question through our contact form. Do we need to adjust the mass transit or is it done automatically ? Hi Michael. If your election exceeds the mass transit limit, you won’t need to make any changes to your election amount. 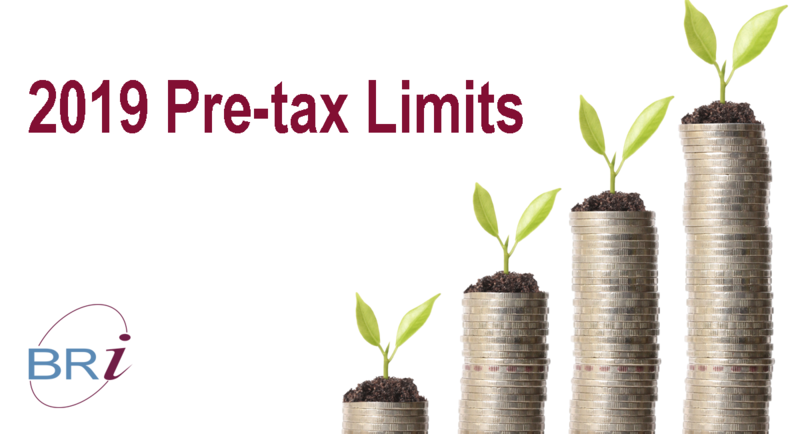 The updated pre-tax limit will automatically be applied. What about dependent care FSA? It never increases! The 5k max barely scratches the surface of what it costs in major metropolitan areas like mine. Hi Jeremy. We agree that the 5K for Dependent Care FSA is not as high as the price of childcare in many areas (especially major metropolitan ones). When the $5,000 amount came out in 1986, it wasn’t set up to increase with inflation. You can read more about why the DC FSA has stayed at $5,000 in this article. Quick question / comment: How is the max for transit chosen ($265)? I personally take the LIRR and my ticket is $350 a month, clearly a significant amount more than the max. There is also going to be a fare increase next year, so that amount will go even higher. I’m also not even in the most expensive zone for the LIRR being able to take out my full train ticket price would be great. Hi Brittany. I totally understand. I used to take the LIRR. To answer your question, the max for transit is chosen by the IRS. They usually increase it by about $5 each year, to keep up with inflation, but it’s not a guarantee. It was $250 in 2015, $255 in 2016, $255 again in 2017, and so on. Your employer supports after-tax deductions for transit, so we encourage you to always set your monthly election to equal your monthly expense. In your case, set your monthly election to $350. The first $265 will be deducted on a pre-tax basis. The remaining $85 amount will be paid with after-tax funds, and the full $350 will be available on your Beniversal Card.